We are living in a time rife with social injustice. But perhaps the biggest problem today, does not stem from complex political agendas or religious warfare, it’s much simpler than that. Water. A basic human right (as declared by the WHO in 2010) is not available to an unacceptable amount of human beings. Sufficient, safe, acceptable, accessible and affordable water is a right no human should be denied. A dire time is upon us, as of this year, one child dies every two minutes from water borne illness in Pakistan due to lack of acceptable and accessible water. The world’s largest underground aquifers – a source of fresh water for hundreds of millions of people — are being depleted at alarming rates. The Indus Basin aquifer (supplying Pakistan and India) is the second most accessed and troubled aquifer in the world. WE ARE RUNNING OUT OF WATER. People have no water to drink. 700 children a day die from lack of clean water to drink. We propose a fundraising blitz this Muharram, to establish 72 hand pump water supplies to the resource depleted region of Tharparkar in Pakistan, in the name of the 72 Shaheed of Karbala. The issue of social justice in the subcontext of water carries forward 1400 years from the barren land of Karbala, into this modern day. We can choose to accept the existence of the issue and act, or we can continue to ignore it because it does not affect us. The hand pumps ($500 USD Donation each) installed will be dedicated to the shaheed listed below. As an individual, family, group, center/imambargah, or mosque you can choose a shaheed for your dedication. A plaque bearing the name of the shaheed, as well as the group responsible for the donation will be placed in the barren land of Tharparkar, Pakistan. 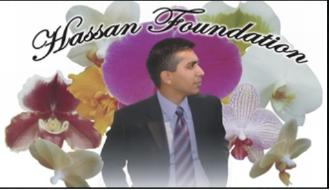 If you would like to donate, please email us at hassanfoundationusa@gmail.com.